Has anyone gotten Marshmallow on Samsung Galaxy S6 edge? So apparently they've officially released it. Has anybody gotten it so far? For the U.S. owners it will be a couple more months (my guestimate). Samsung released it to the carriers and then they massage it to add their crap into it then release it to us. On the other hand, consumers like me will think "let's not go for Samsung this time because we all know it won't get updated anytime before the S8 comes out. Let's try htc or LG or Sony this time"
Maybe? Because I don't like this approach from Samsung at all! Probably sometime in 2017 with their track record..
No sign of marshmallow OTA. It just got available to flash on sammobile for the F models though. Lucky you. How is it? I like it. Seems smoother. Fingerprint scanner faster. Doze works well for me. Battery seems slightly better but hard to say now, need more testing. However last night phone just restarted itself and was stuck in the black (samsung screen) light button on and notification light on for 15 minutes. It's a bit buggy I see. Do share if it happens again. But good to hear all the positive stuff! 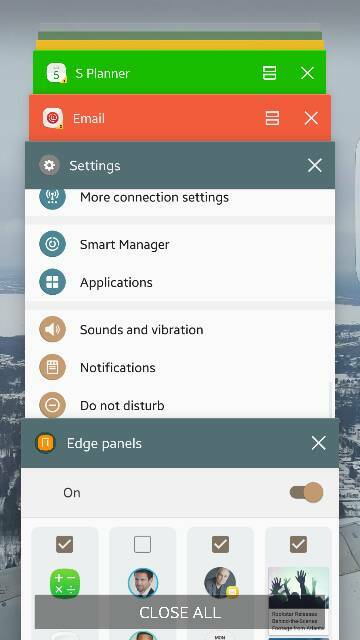 How about the edge features? Do they seem improved as well? UK unlocked, been using it for a day and feels like a new phone. Feels a lot faster and love the new edge features which i used a lot previously but just seem more complete now. Still looking forward to the S7 edge but this will do until i get it on release. Don't really understand the pattern here. Same here. I'm still running the official marshmallow beta. Wondering if I need to revert back to lollipop to get the update? Just thought I'd check and I have the marshmallow update ready to download. Don't know why the phone didn't notify me. UK s6 edge on the Vodafone network. Just installed Marshmallow this morning as so far so good. All the new edge features have been added for me so i have task edge, tool edge and can have more apps ect. Fingerprint scanner seems to be working alot quicker. New annimation when you charge your phone which looks pretty good. Doze - too early to tell as i've been using it non stop since i installed it. You can now search for apps in your app tray. Re-Ordering apps is alot easier on the home screen. RAM Management - Hovering around the 75-80% for me. Just got an update through AT&T. Alas, not marshmallow. Like the new design, Samsung native apps i.e. Clock is nicer and overall UI is looking really good. Improved design on the multitasking window I feel. I finally have the s6 edge that it should have been out of the box. I'm loving the new edge screen features! Is S7 edge charger same as s6 wall charger?